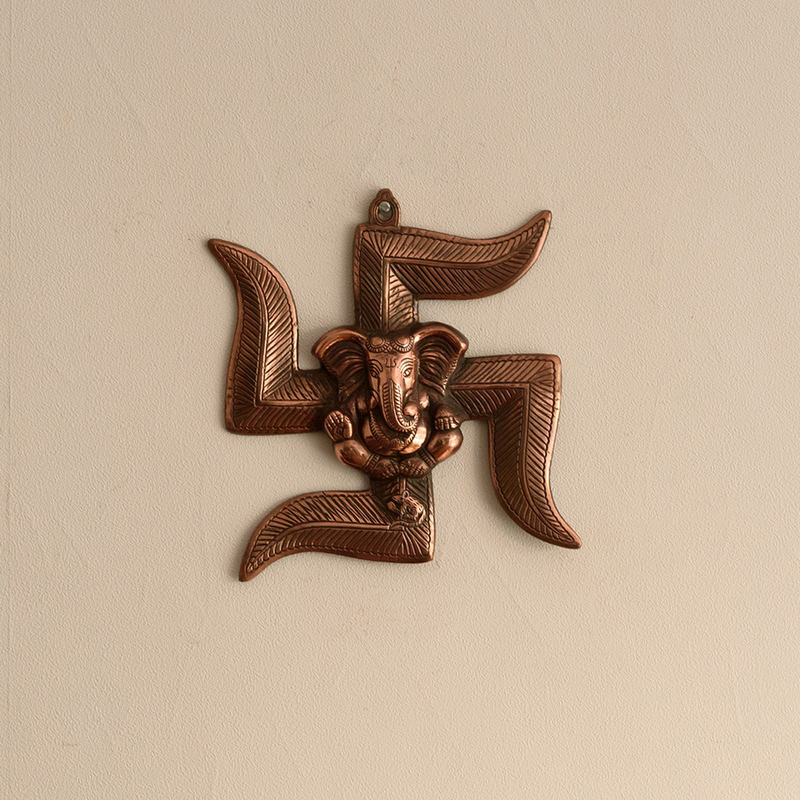 Enliven your home with this beautiful looking metal swastik wall piece comprising of lord ganesha made from metal which reflects the imaginative vividness and adds elegance to your home decor. 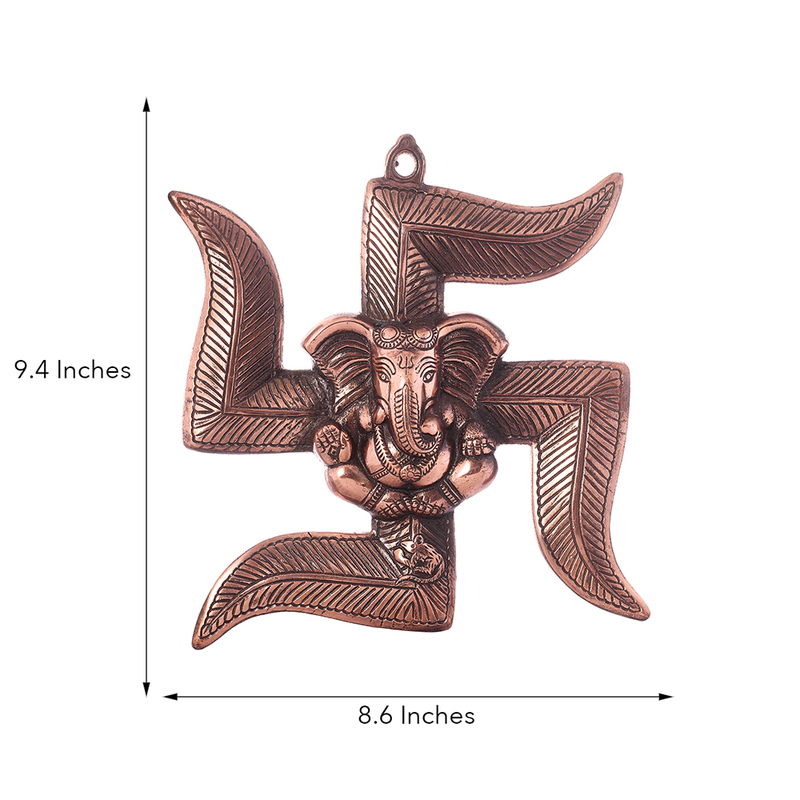 If you have an eye for style, classiness and divinity, then Style your home and office with this Metal wall hanging which is sure to Read More..be well-liked by your guests. 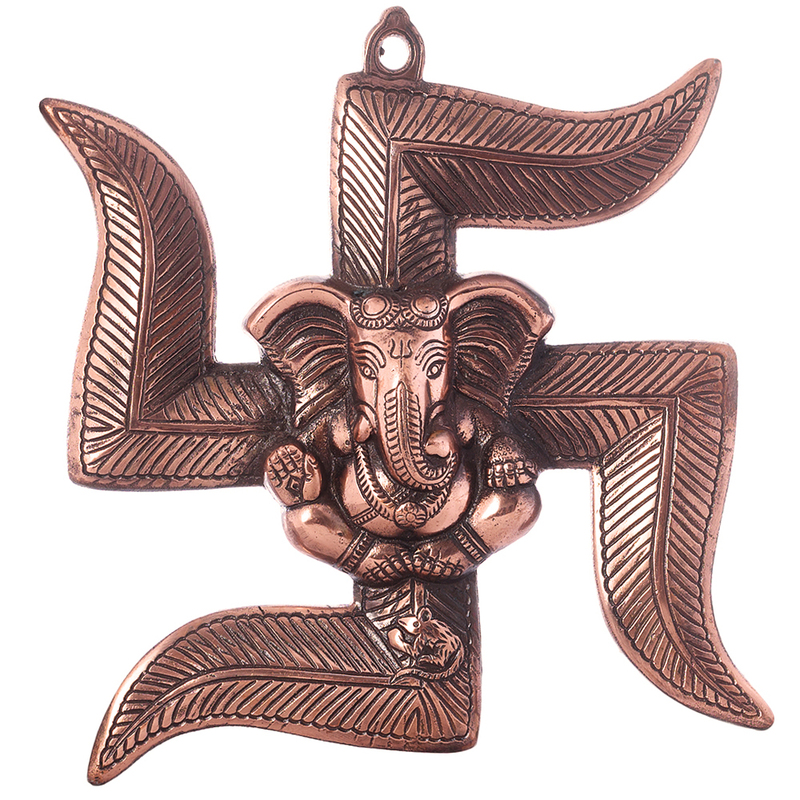 The wall hanging t serves as a great gift, for your friends and loved ones in this joyful occasion of Ganesh Chaturthi.. Handcrafted with care and love, this wall hanging has been made by skilled artisans by using various traditional techniques Show Less..